One of the problems with communicating with train friends via email and posts on Internet groups is the difficulty in “putting names with faces”. To help overcome this problem, we have created a meet badge backing card to help TTML members identify online friends at train shows. A sample of the card is shown below. 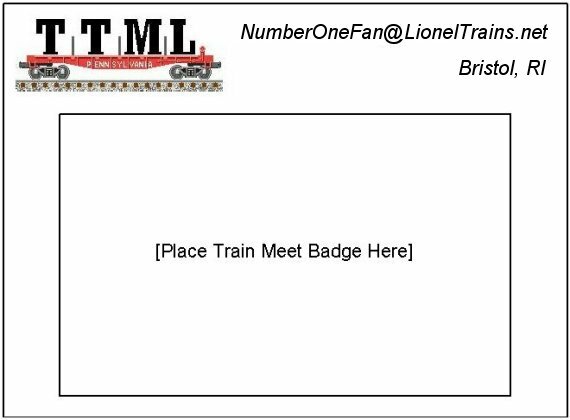 To generate your own custom TTML backing card, fill in your name and email address and one will be sent to you automatically. The card is contained within an Adobe Acrobat document and may be printed out on any color or black and white printer. Enroll me in updateMinder to notify me about other new features like this!